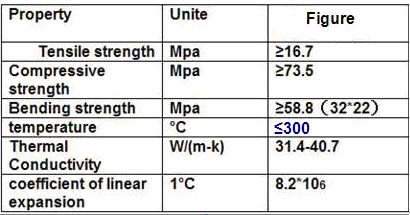 of graphite pipe is resin powder and graphite powder mixed together, then graphitized in high temperature. this type of graphite pipes is mainly used in heat exchangers, and can be with bigger length compared to the first type. it can reach a length of 6-7meters. 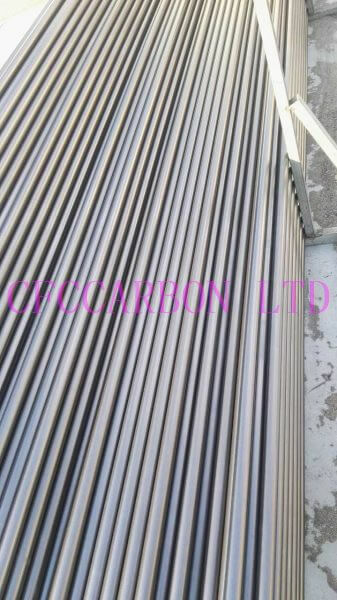 CFCCARBON LTD can produce both types of graphite tubes. Here we will introduce the resin graphite tubes bellow. Resin graphite pipes are too long and thin, its easy to break. So we will pay special attention to the packing. If the package is not strong enough, it will break and the graphite pipes inside will be break too. so we will pay attention to the packing. We use standard packing for internal trading, its polywood, like photos shown. 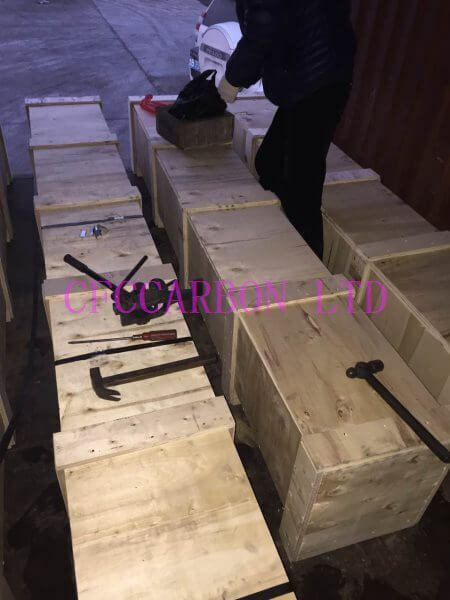 then We will use strong wood plates, and put it at the bottom of the packing, then we put the graphite pipes in the box. So the package is strong enough, and not break when use forktruck to move the box. IF there is no strong wood at the bottom, it will be easily break, and then it will be a big lost.